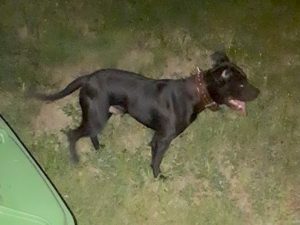 Additional Notes: Is anyone missing this male AmStaff dark brown in Woodbine? Spike collar/No tag and he keeps running all over the place. Hes very friendly, but we were unable to contain him.